Public joint-stock company State Food-Grain Corporation since early 2018 has been switching to the agrarian receipts system with most of agricultural producers participating in the company’s forward purchase program. 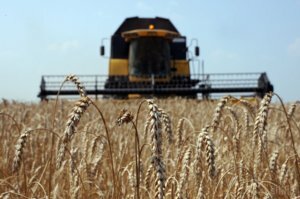 According to a press release of the corporation, the step should accelerate the procedure for approving the advance payments for producers for future harvest grain and ensure larger reliability of the corporation. The condition of the agrarian receipt is the obligatory delivery of the approved agricultural products to the corporation by the commodity producer. The manufacturer receives the advance payment in the spring, and delivers the products in the autumn. “In this case, the agrarian receipt significantly reduces the risk of the parties failing to fulfill their obligations under the grain supply agreement for the future harvest,” the corporation said. As reported, in February 2018, State Food-Grain Corporation announced the start of the spring forward program, under which the corporation would buy winter and spring crops of the 2018 harvest. Under the program it is planned to finance farmers for the amount of almost UAH 1.5 billion in advance. Wheat, barley, corn and oats could be bought under the program. Public joint-stock company Energomashspetsstal (EMSS, Kramatorsk, Donetsk region), the owner of which is Russia’s Atomenergomash of Rosatom Corporation, plans to supply the last semi-finished products under a project on production of semi-finished products for equipment of reactor one of Turkey’s Akkuyu nuclear power plant (NPP). According to a posting on the website of EMSS, under the contract, which cost is not disclosed, hundreds of semi-finished products for the reactor’s case, steam generator, pressurizer and the upper unit were made and inspected with participation of specialists from the NBPP and Turkish Atomic Energy Authority (TAEK). The company said that in 2015, EMSS successfully passed the TAEK inspection and in January 2016 it was the first company which received the certificate for making semi-finished products for the Akkuyu NPP. The Akkuyu NPP is being built in Turkey on the coast of the Mediterranean Sea. The project includes four reactors with a capacity of 1,200 MW each. It is planned that after the completion of construction the NPP will generate around 35 billion kWh of electricity a year. The operation life of the NPP is 60 years. 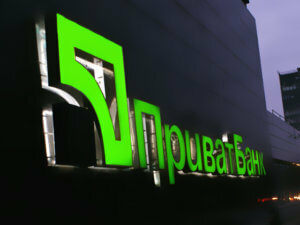 The largest state-owned bank in Ukraine, PrivatBank, saw UAH 3.7 billion of net profit in Q1 2018, which is a 3.3-fold rise year-over-year (UAH 1.108 billion), the bank has said in a press release. “In the first three months net commission income totaled UAH 3.4 billion… Net interest income came to UAH 3.3 billion. In Q1 2018, the bank earned UAH 6.7 billion of interest income thanks to the expansion of the loan portfolio of individuals by 6% (UAH 2.5 billion) and growth of the portfolio of corporate clients by 18% (UAH 1.1 billion),” the bank said. As reported, PrivatBank in Ukraine should make profit in 2018 and generate no less than UAH 8 billion of profit starting from 2020, according to the strategy for its development until 2022 approved by the supervisory board of the financial institution. Nationalized late 2016 PrivatBank in 2017 reduced the consolidated loss to UAH 23.99 billion from UAH 176.64 billion a year earlier. In total, the bank was capitalized by UAH 155.3 billion through issuance of government bonds. At the end of June 2017, the Cabinet of Ministers decided to capitalize the bank by another UAH 38.5 billion (almost $1.5 billion) on the basis of the proposals of the NBU and the conclusion of an independent auditor of PrivatBank, EY. The first tranche of UAH 22.5 billion was provided to the bank in July 2017, the second of UAH 16 billion – in December. 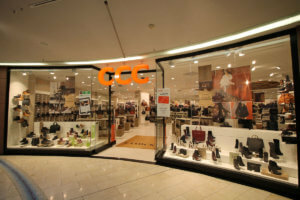 Adler International, developing the CCC shoe franchise store chain, has sold some stores in Poland and plans to develop the CCC shoe franchise store chain in Ukraine using the money received. According to a posting on the website of CCC, Adler International sold 41 CCC stores in Poland for PLN 68.5 million (UAH 506.9 million). “Under to the agreement, the seller [Adler International] intends to use part of the funds received from the sale of the retail chain to accelerate the expansion of CCC franchise stores in Ukraine and to open 50 new CCC stores by 2021,” the company said. According to the company, the gross profit of the purchased retail chain in 2017 was PLN 18.5 million (UAH 136.9 million). The companies entered into a deal on April 11. According to the CCC, the transaction is the next stage in the implementation of the strategy of CCC S.A. Capital Group on the development of the chain. As reported, CCC Ukraine LLC (Lviv), developing the shoe store chain of the Polish CCC brand, seeks to open up to 15 new stores in the country in 2018. 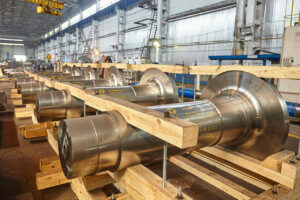 Ukrainian metal and mining enterprises in January-April 2018 boosted rolled steel output by 1% year-over-year, to 6.072 million tonnes. 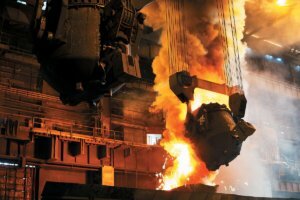 According to the Ukrmetalurgprom association, if the production figures are compared, taking into account two months of operation of the enterprises in 2017 in the government uncontrolled areas (before losing control over them), steel smelting fell by 1.4%, to 6.913 million tonnes, and cast iron output grew by 8.9%, to 6.885 million tonnes. If the production figures of enterprises in the government uncontrolled areas are not taken into account, rolled steel output grew by 8%, steel – by 5% and cast iron – by 18%. In April 2018, Ukrainian metal companies produced 1.639 million tonnes of cast iron (98% to the previous month), 1.687 million tonnes of steep (99%) and 1.479 million tonnes of rolled steel (98%). “A slight reduction in production of the key types of products in April compared with the previous month is linked to repair works at some facilities,” the association said.